Lyrics of Heartless Title Song is a very well sung song by Mohit Chauhan with nicely composed music by Gaurav Dagaonkar. 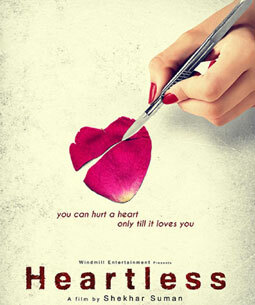 Heartless Title Song Lyrics are beautifully penned by Seema Saini. Keh do.. zinda hoon main. ya nahi? Keh do.. sapna hai yeh. sach nahi? Pyaar mein mere rahi thi kya kami? How could be so heartless? How could be a love? Rooh phir kyun jal rahi? Dard mein mere thi teri kya khushi?